After the VA record I tried looking for more from this swedish jazz band with mild fusionary tendencies. I believe in online record stores this is referred to as fusion simply because a so-used label sells better than 'acoustic jazz' which is what this really is for the most part, with the exception of some nice synth work. I really love the way Susanna washes her synths into the pieces in that atmospheric, cloud-like kind of way, big thick chords flowing over the surface of the beat like white reflections moving on a turmoiled ocean. Unfortunately for me there isn't enough of this effect, only sparingly employed. Not too sure what you guys opine but I don't think I'll go out of my way to find any remaining of their records, I think I'll leave the rest for true completists in jazz only. Is it surprising I can be turned off by 'too much jazziness?' It shouldn't be, I love fusion for its progressive moves, but my heart is in prog. Note that this band is still very active, one of the few from this period that continued almost verbatim through to the present era. 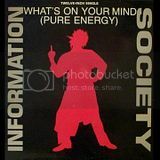 This particular record is OOP of course and not currently available online or on cd. I didn't know Mwendo Dawa. I saw the videos in youtube. Needless to say if you find something else to post it please. Please repost Mwendo Dawa. TYVM. 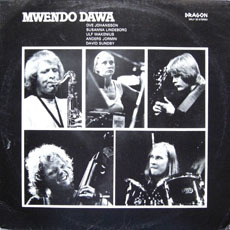 Please repost Mwendo Dawa 1981. TYVM. Tristan, Would it be possible to get a new link for Mwendo Dawa?